Happy Birthday my dear sister! Hope you’re wearing your brightest smile all day long! I’m so grateful that God gave me a sister like you to rise with. Happy Birthday to my mother’s second great gift! Happy Birthday to my wonderful sister! A sister is one of the few people that know everything about you and still love you anyway. There is not only a blood connection between you and me. We also share a lifetime friendship that stays unwilling throughout the years. I love you sis. Have a lovely Birthday full of happiness and joy! Thank you for being there for me all those years. Thank you for giving me generously all the guidance and the inspiration I was asking for. Thank you for helping me overcome all the hurdles through the years. Wishing you a very Happy Birthday! Happy Birthday to the world’s greatest sister! 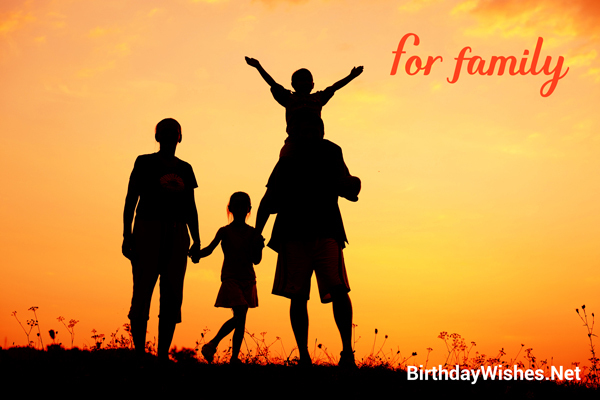 In this special day here are the best wished for you. May all your life be happy and exciting, and all your dreams come true. May all the best things come to your life and all the happiness be yours for the rest of your life. On this special occasion wishing you many more happy returns of the day. Happy Birthday sis!! Not only the blood relation we share, there is also a lifetime friendship that we have. Thank you for being the most wonderful sister ever and wish you always be there in my life. If I have a chance to choose a sister, I would have chosen you. 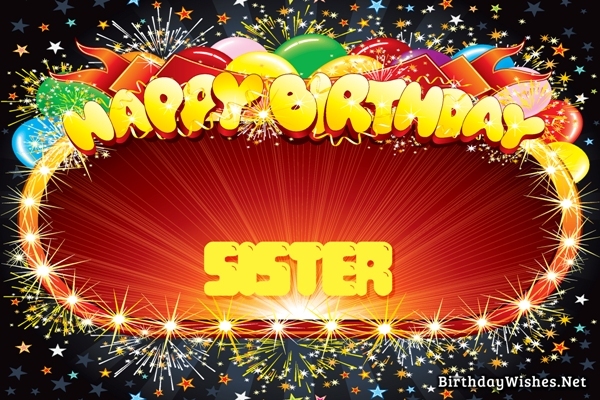 From the bottom of my heart wish you many many happy returns of the day sis!! There is only one place where I can keep my every strength, my every weakness, my every secret safe. It’s in my sister’s heart. A heart that it’s so huge that can fit both the best and the worse side of mine. Thank you so very much. Happy Birthday sister! Happy Birthday to someone I am really proud to call my sister! Best wishes to someone whom I will call proudly as my sister. I am thankful to god who gave a loving sister, an amazing friend. Today is your birthday and let it remain as special as you are. Wish you tons of happiness and good fortune in your life. Happy Birthday to the most wonderful sister in the world!! All my childhood memories always remind me all the reasons I’m so proud you are my sister. From the bottom of my heart Happy Birthday! A sister is always a great piece of childhood. My childhood is full of loving memories filled with so much love and happiness. Thank you for all these great memories. Thank you for all these great moments. Happy Birthday! God showered blessings on us in the form of siblings, and I have got the best sister. You are the permanent in my childhood and the memories cannot be taken away from me. On this special I want to wish my loving sister a fun filled and happy birthday and May many super years follow this. Happy Birthday Sister!! The fights we fought, the love we shared in our childhood made our relation stronger. I will be always thankful to god for giving me the best sister any one can get. Thank you for being there with me all through the years and share all my wonderful moments with you. May all your dreams come true and all the happiness in the world come to you. Happy Birthday sister! !